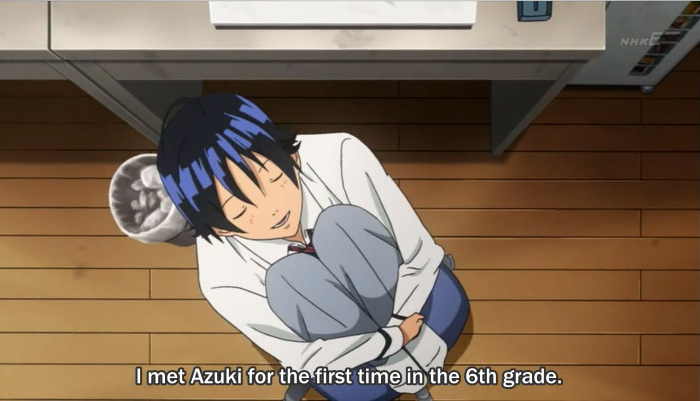 Mashiro tells Takagi about the first time he met Azuki, way back when they were in elementary school. Then the two of them work on their manga, Two Earths, a story about how our world isn’t the real world, but an artificial world created by the real world and populated by clones they use as guinea pigs. Thanks to the research done on the second world, the real world lives in a golden age of peace. Later at school, Miyoshi confronts Takagi about him telling Azuki he knew about her dream. When Miyoshi asks why Takagi asked her about Azuki’s dream, if he wasn’t asking Azuki out, Takagi tells her that he wanted to talk to her, Miyoshi. 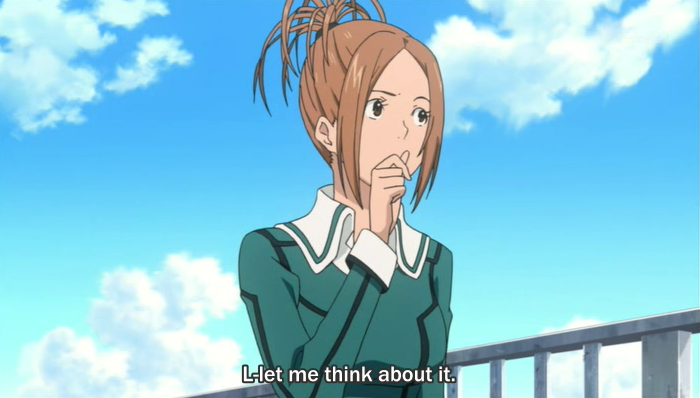 Miyoshi thinks that Takagi is asking her out, and tells him she needs to think about it first. Miyoshi goes and talks to Azuki, her best friend, about what she thinks Takagi just told her. 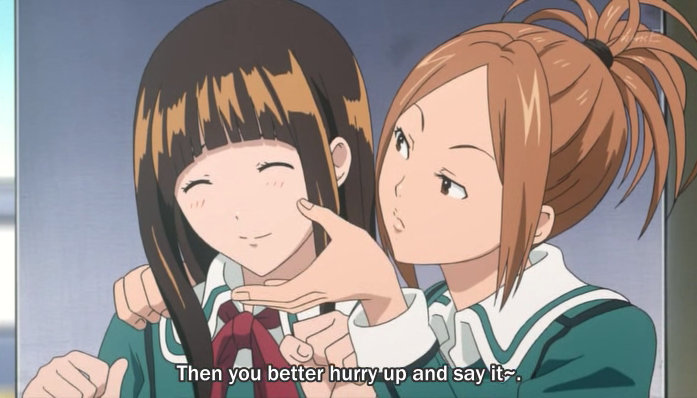 I may not have much knowledge of how teenage girls, but something tells me neither do Ohba and Obata. 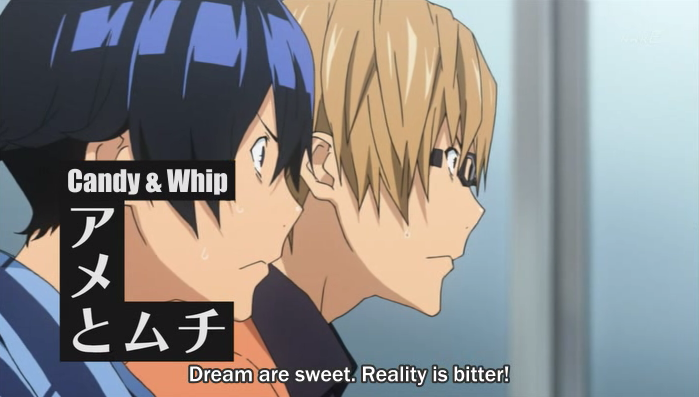 I approve of this screen shot. 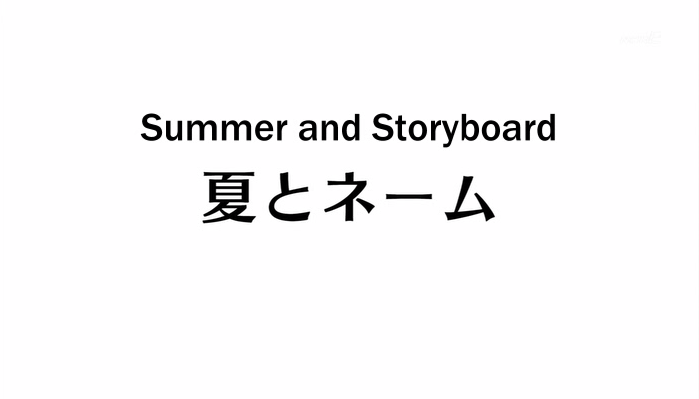 Takagi and Mashiro both decide to spend the summer in the studio, working on their manga. 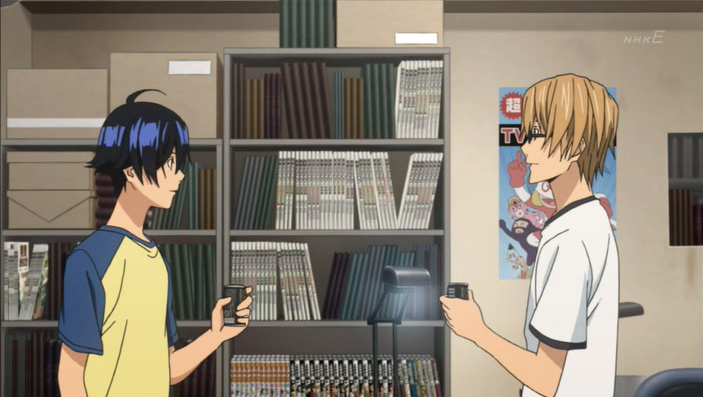 They start working on their manga, and Mashiro finally decides to try inking his art. The scene is actually effectively tense, thanks to the first scene in the last episode, where he tried inking his artwork, and dripped ink onto it. 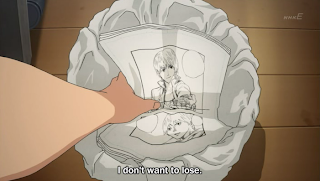 This scene really works well because it was set up properly, and speaks well for the anime team. They continue working on their manga, and Takagi brings a copy of Jack back from the convenience store. 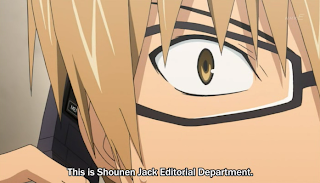 Nizuma is in it again, and seeing their self proclaimed rival in the magazine again prompts Mashiro to throw away what he’d done so far and start over again. 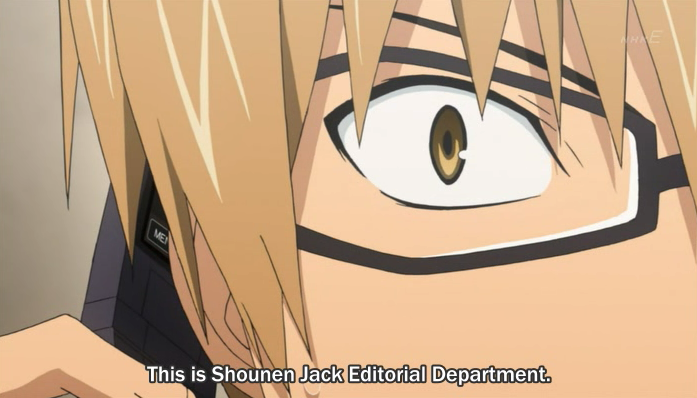 Mashiro works long hours, but they finally finish the manuscript and call Jack. Granted, I’m not sure I’m that great at assigning grades. But I’m grading it that high because I really liked the simple payoff in the scene where Mashiro starts inking, and how well it ties in to the previous episode. 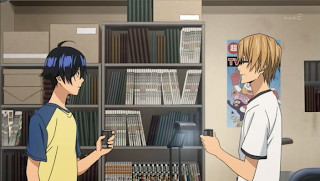 The anime team is definitely putting some thought into the adaptation of Bakuman from a manga into an anime. They’re taking their time and improving on the manga the way a good adaptation should. 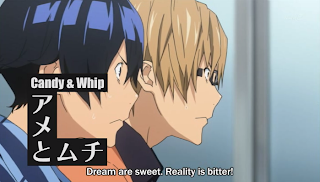 Besides the slow pacing, which I knew I was getting into, I’m really starting to like this anime. 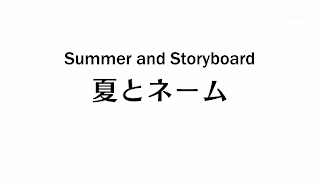 It’s a worthy successor to the manga.